When I’m not writing about walking and landscape, I’m reading about it. (Or, you know, walking.) 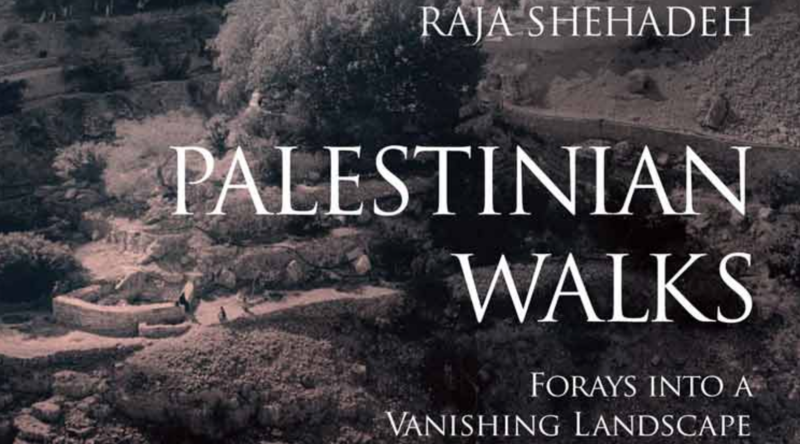 A favorite journal, Empty Mirror, has this week published a book review of mine, discussing someone else’s landscape encounters – human rights lawyer Raja Shehadeh‘s, in his 2008 collection of Palestinian Walks. You can read my review of Palestinian Walks here. I’ve written multiple book reviews for Publisher’s Weekly, but those are focused, 240-word mini-reviews that try to quickly address thousands of diverse booksellers and readers. They leave no space — this is not their purpose — for exploring how a book intersects with your own experience and culture, how it speaks to you, how you speak back to it, and what you might take with you into your world from the encounter. So this piece represents a new genre for me, and also a type of conversation I regularly conduct with literature. It also contains an element I haven’t seen in many book reviews: an exploration of a scared reading practice called florilegia, applied to a secular text. with a totally different book.